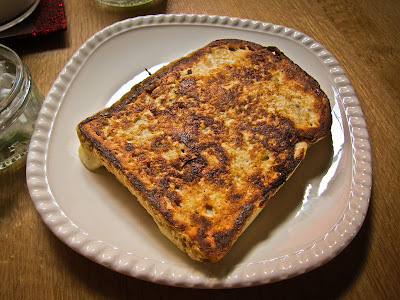 Mozzarella in carrozza is nothing different from the regular grilled cheese sandwich... However, with a few little differences it tastes much more wholesome. - Put the flour and eggs in two separate plates. - Put the oil in a skillet and turn to medium high. - Lay the mozzarella slices on 2 slices of bread and sprinkle with salt and pepper. - Top with the remaining bread slices. - Dip the sandwich in the flour. - Then dip it in the egg mix. - Place in the sandwich in the skillet and fry for 2-3 min on each side. - Let it cool for a few minutes and enjoy! Mmmm! It was very tasty!